TEA’s amazing pendant and first major release of 2018. 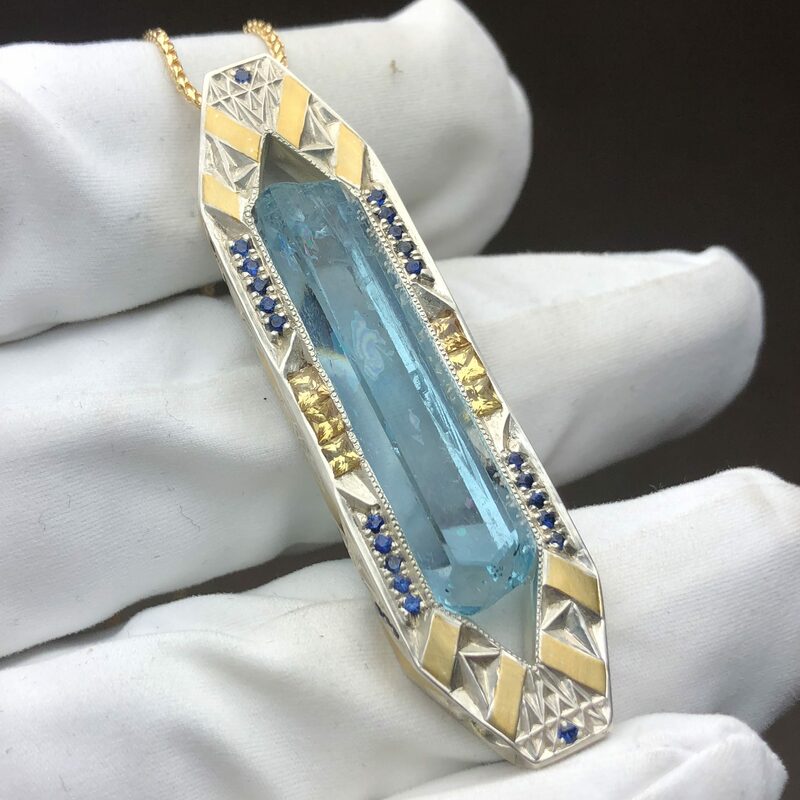 It features a Vietnamese Aquamarine and sapphires. Made with Sterling Silver and 24k gold. Introducing “Virtue of Kotinos” by Third Eye Assembly. Featuring an acid etched Green Beryl crystal from Padre Paraiso, Brazil. 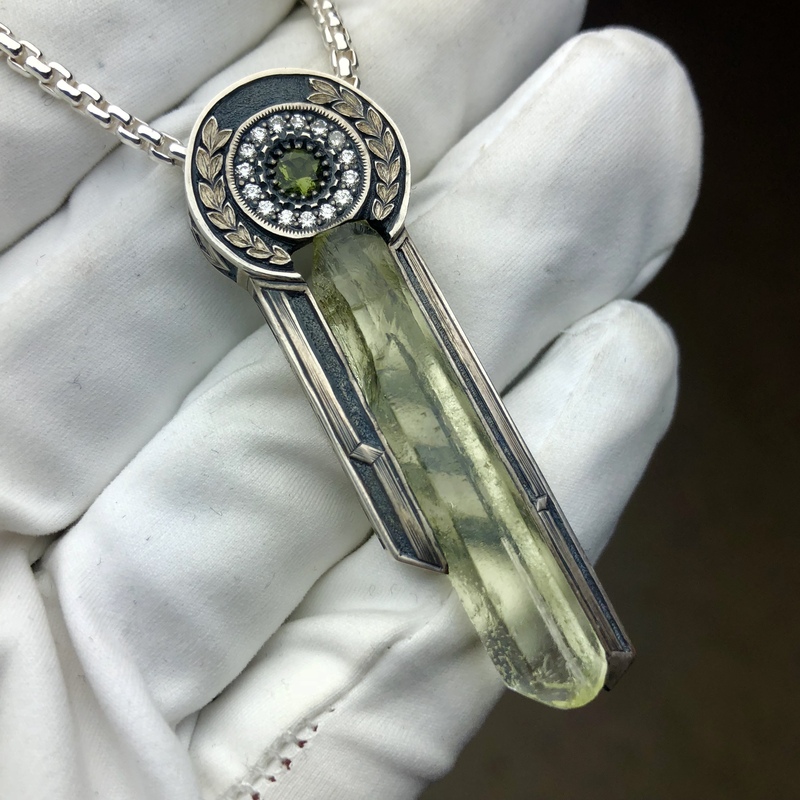 This piece also features a faceted Moldavite with a Halo of Diamonds surrounding it. 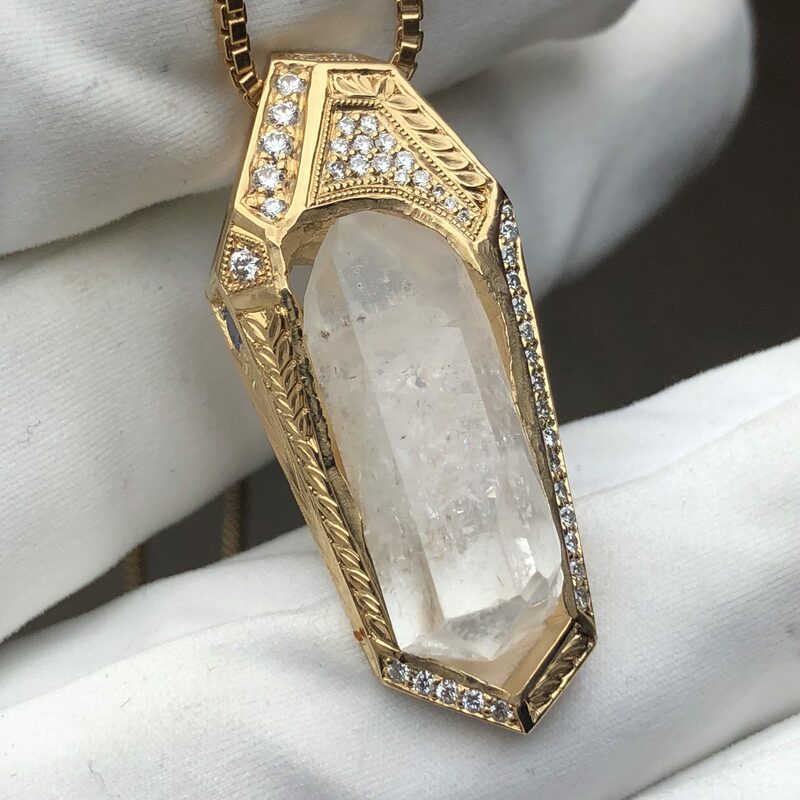 Featuring an amazing phenakite specimen set in 18k yellow gold. Accented by tanzanite and white diamonds.